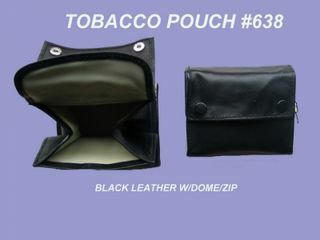 Quality leather tobacco twin stud pouch for loose tobacco and an attachment for a single regular packet of rolling papers. Tapered in at the bottom. 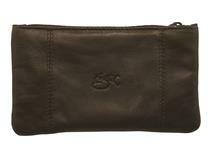 In quality brown/black checked leather. 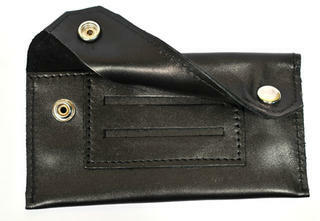 Quality black leather double stud flap. 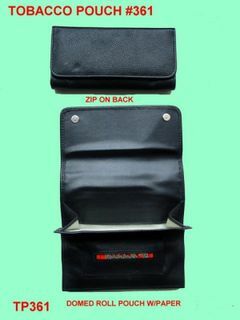 Single regular cigarette papers pack holder. 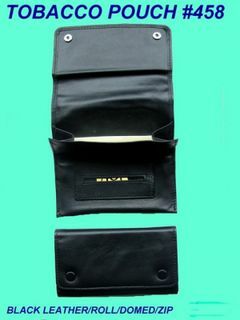 Nylon-lined tobacco pouch with flap. 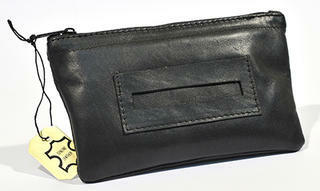 Black leather double black stud tobacco pouch. 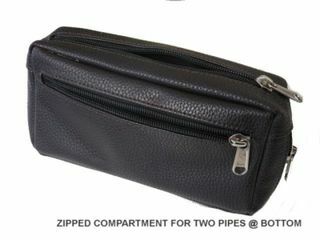 Concertina-style opening opens out to a very roomy pouch. 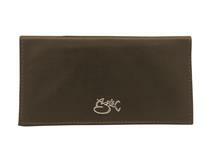 Zippered storage on the back. Dimensions: 100mm long X 80mm high. 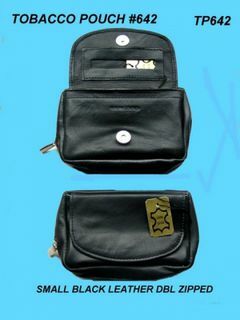 Hidden double-stud front flap with single regular cigarette paper storage under. 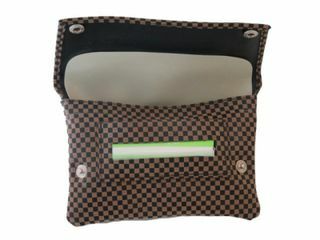 Nylon-lined tobacco storage with flap to keep aroma in and moisture out. Tapered so that the top is longer than the bottom. 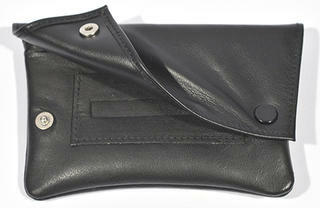 Black leather tobacco pouch hidden double stud with two roomy zippered compartments inside the domed front flap. 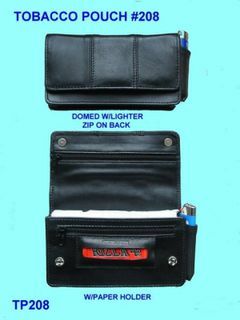 This is a good sized pouch with regular cigarette paper holder and zippered compartment on the back. Also a pocket on the end for a Bic type lighter. 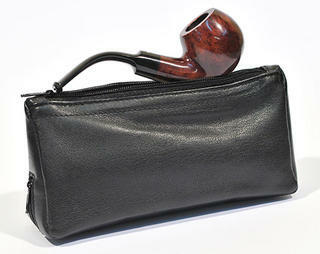 Black leather roll-type tobacco pouch with domed closures hidden under front flap. Regular single cigarette papers holder. 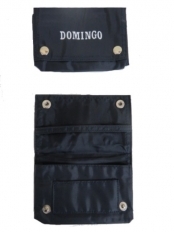 Extra zippered compartment on the back. 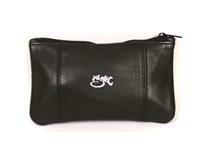 Black leather roll-type tobacco pouch with black-domed front closure. 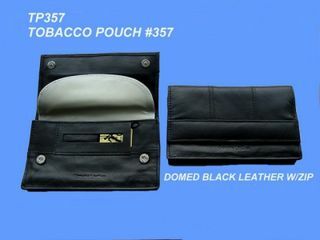 Black vinyl, Domingo-branded, domed tobacco pouch. Slot for papers and has a belt holder on the back. 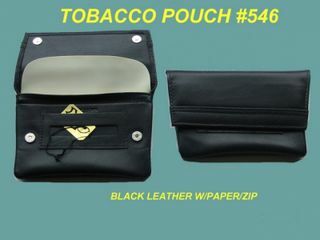 Ideal for putting tobacco pouch straight inside. 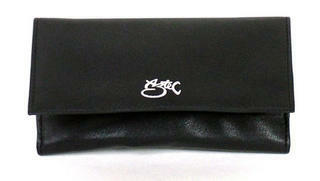 Black embossed Aztec logo on the front (not silver as shown). 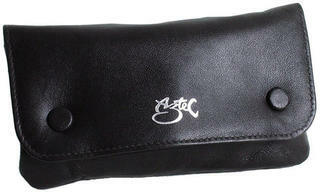 Aztec genuine sheep leather tobacco pouch. 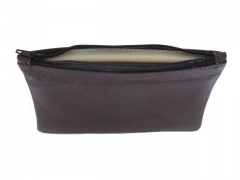 A soft leather pouch designed for your plastic tobacco packet with a large flap allowing for a work area and a pouch large enough to hold 50g of tobacco even if it's still in its original wrapper. 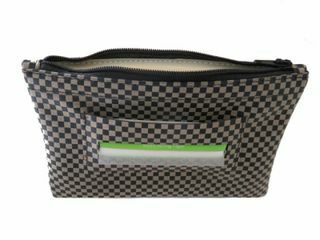 The pouch is nylon lined to keep tobacco moist and fresh.